Characteristics: Double structural glazing, thermally broken aluminum profiles. Retractable glass window with thermally broken aluminum profiles, built to offer absolute protection from cold or warm weather. It employs double structural glazing which offer an extremely smooth outer surface. It consists of three (or two) frames, one of which remains fixed, while the other two are simultaneously retracted, freeing up the two thirds of the overall area of the opening. 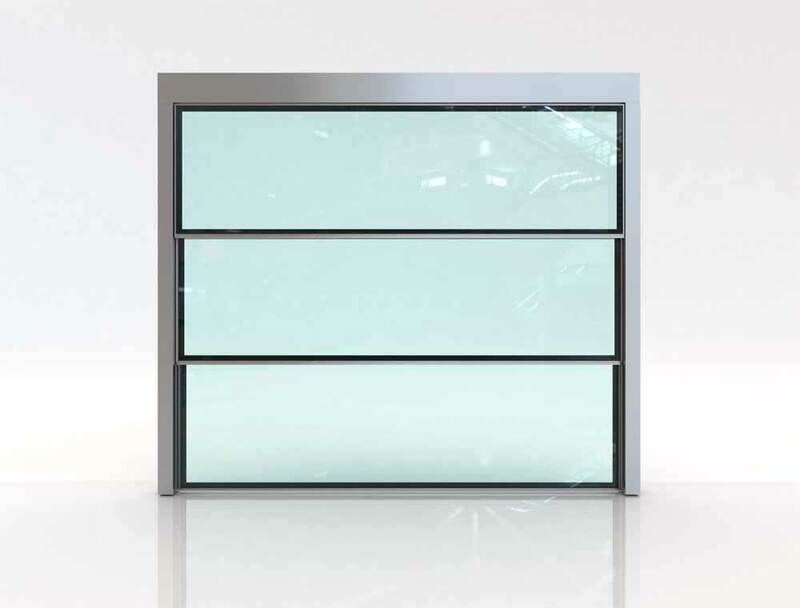 Depending on the space’s needs, the fixed pane is positioned at either the bottom end of the device – creating a glass parapet when open – or the top end, creating a glass entrance (recommended for shop applications). When the fixed pane is placed at the top, the panes are secured with electromagnetic locks when open, so that the device is safe to use when people walk under it. Motion is achieved by using an electrical cylindrical motor. Dimensions are dependent on the installation’s needs, with maximum recommended dimensions: 5m in height and 4m in width. A broad range of applications is possible, in shops as well as in residences. It is ideal for large openings. It is recommended when protection from external weather conditions is vital. If the fixed pane is positioned at the bottom end of the device, creates a glass parapet, and when at the top end, a glass entrance. Saving space : When the system opens, the moveable panes are repositioned behind the fixed pane, so that no additional storage space is needed. Easy to operate : Either wireless or wired operation, opening the device at the touch of a button. Bioclimatic design : Double, low-e, structural glazing, which protect from cold, heat, and the sun. The aluminum profiles are joint together with polyamide stripes (a material with low heat transfer index), effectively insulating the enclosed space. High aesthetic value : Contemporary, minimalistic design, which suits every current architectural approach. By using structural glazing, the glass surface is maximized, creating a smooth outer surface.